Originally published in 1927, Told Again is an enchanting collection of elegant fairy tales, showcasing the formidable talents of a writer who used magical realism before the term had even been invented. Walter de la Mare (1873-1956) was one of the most celebrated writers of children's literature during the first half of the twentieth century--so much so that W. H. Auden edited a selection of his poems and British children could recite de la Mare's verses by heart. His abundant literary gifts can be savored once more in this new edition. With marvelous black and white illustrations by A. H. Watson, this volume includes a splendid introduction by Philip Pullman, the contemporary master of fantasy literature. The significance of the nineteen adapted classics in Told Again lies in de la Mare's poetic insights and graceful prose, which--as Pullman indicates in his introduction--soften and sweeten the originals, making these tales appropriate for younger readers. In "The Four Brothers," the siblings allow the princess to choose her own husband rather than argue over her; and in "Rapunzel," de la Mare discreetly leaves out details of the prince's tortured, blind search for his love. Familiar stories, such as "Little Red Riding-Hood," "Rumplestiltskin," and "The Sleeping Beauty" are also made new through de la Mare's expansive, descriptive, and lyrical prose. Pullman covers important details about de la Mare's life and captures the stylistic intention behind the rewriting of these wonderful favorites. 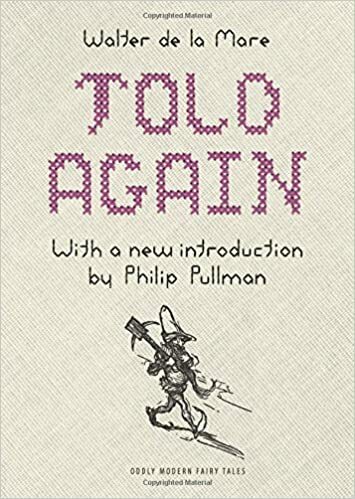 Reviving the work of a writer who exemplified a romantic vision and imagination, Told Again is a remarkable retelling of fairy tales touched by mystery and magic.